Rochester Cajun Zydeco Yahoo group Join the RCZN mailing list!!! Decision Making Process - All members in attendance at meetings have equal voting rights. (Sure there is more to it than this, but if you make the meetings you help make decisions). SO, WHY BECOME A MEMBER? To contribute to the success and stability of an exciting music series so we can all enjoy a constant flow of the refreshing sounds of the Louisiana Bayou year round. As the organization progresses there will surely be other membership promotional items like rubboard ties and ear rings, accordion and alligator coffee mugs, all expense paid trips to Mardi Gras celebration (for starters here in Rochester). For now, become a member because you know it is the right thing to do. DO YOU HAVE TO BE A C/Z JUNKIE TO JOIN? Well no . . . 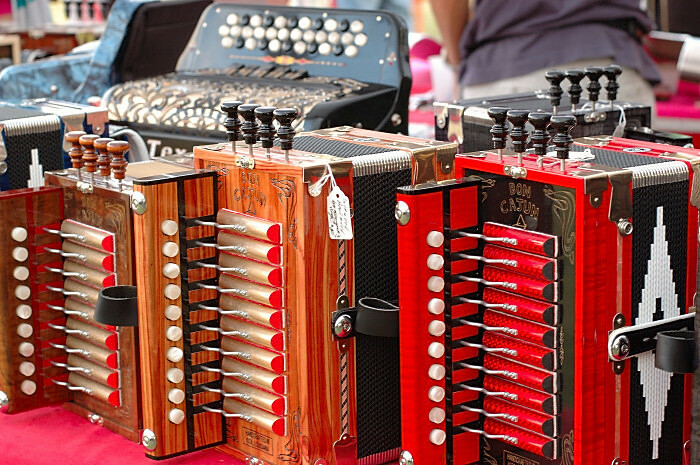 If you are an enthusiast, fan, lover of Cajun Zydeco Music you are encouraged to join. If you are a true Junkie, you wont be able to help yourself, you'll be compelled to join. Careful though, attending 3 or more C/Z events is a sure symptom you are becoming a Junkie. Free dependency counseling is available with a year's membership. Suggested Membership dues contribution of $25 individual or $35 per family. 5. OTHER - What ever you can think of to make the series a success!!! !